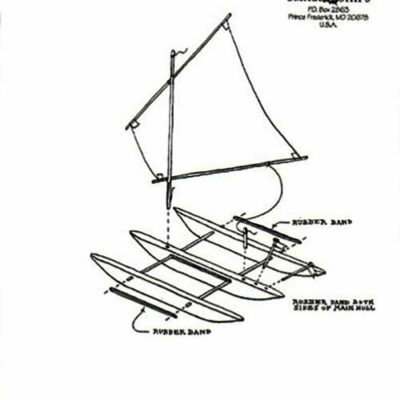 Models built from these plans are larger than those we offer in kits but are of the same general build (solid hulls) and character. All use inexpensive commonly available materials found at your local hobby or building supply store. None require glue. 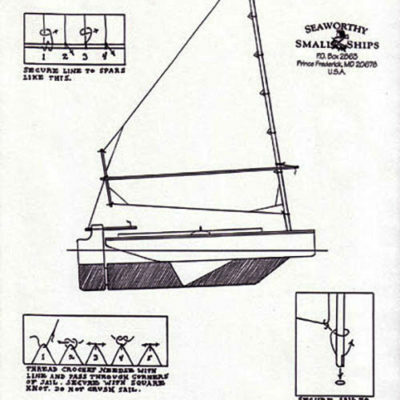 And of course all are seaworthy. Great for school projects and youth groups. 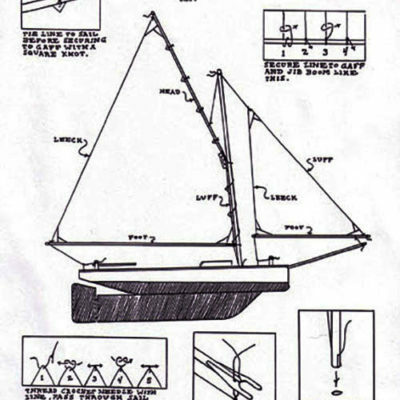 Each plan packet includes three sheets of full sized patterns and plans, plus written instructions describing techniques and origin of designs for our Polliwog Flatiron Skiff, Fiji Trimaran and Shiner Gaff Rigged Sloop.